Thoughtful Branches--Going, Going . . . I can't believe we are at the last couple of days this set will be available. It is only available in August as long as supplies last. I haven't heard anything about it selling out yet, so I think you still have a couple of days. I am so thrilled I invested in this set. I have been amazed at its versatility. It is appropriate for ANY season, and any holiday as well. I can't even really come up with the words needed to describe the amazing cards possible with this set, so I think I'll just show you a few. 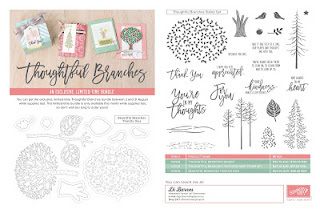 These are just a few samples of the cards I have made with the Thoughful Branches bundle. 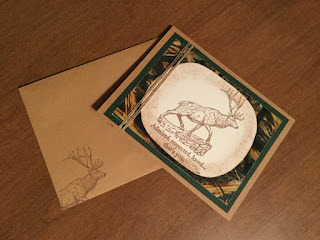 I hope they inspire you and show just how versatile this Bundle/Stamp Set can be. What other cards are you inspired to make with this stamp set? If you already have this set and have been creating cards or other items, I'd love to see them. Please send them this way and if I can share them on the blog with the world, please let me know. Here are the first pics of cards made by customers and shared with all of you. 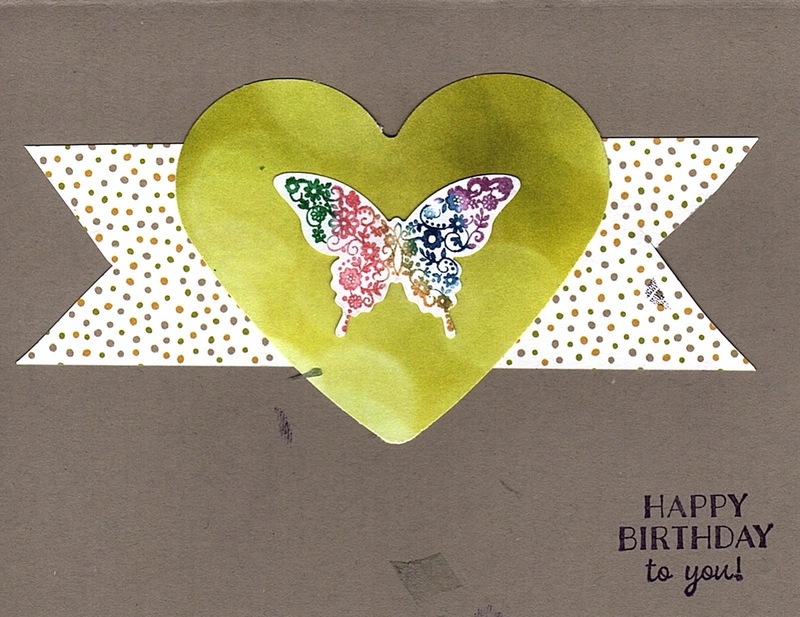 These cards were made by Terry H. She wanted to be sure I let you know that these were not completely original designs. They are CASEd cards. Many of the cards that will be on this blog will be CASEd. And, I won't always know who to give credit to for the original design. I will tell you who created the card you see on this blog. Feel free to CASE them and pass them on to your friends and family. 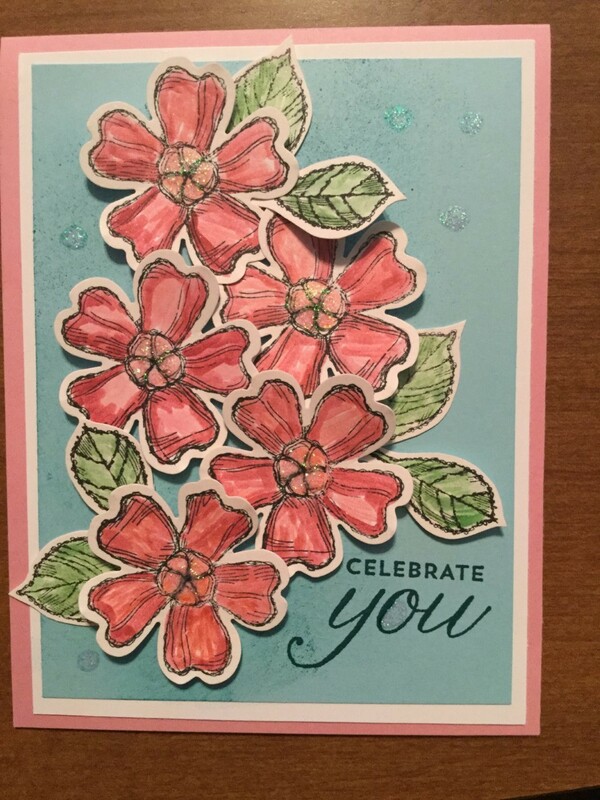 Where do you get inspiration for you card creations? I Want To Hear From You . . . What Would You Like to See? What exactly would you like to see on this page? I have some plans but I want to hear more from you. 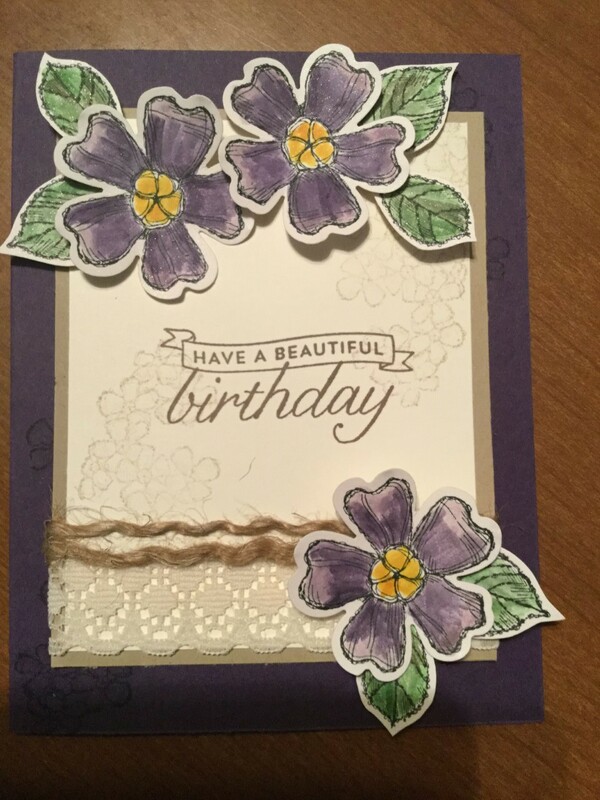 I plan to put pics of cards I am making, along with product lists. I will also be posting about any exciting news and specials from Stampin' Up. Please comment and let me know what you would like to see on this blog. Otherwise, you'll just have to put up with whatever I think is important to post. It could be a little scary to solely depend on my brain for this. Why did I choose Stampin' Up as my latest adventure? I've been asked that question on more than one occasion so I thought I'd address it here. Those who know me know that I've been big into paper crafting since before my children were born. I got serious about keeping a scrapbook when my daughter was born almost 15 years ago. For me it was a way to relax, have fun with friends, express my creativity, and keep chronicling important memories for my family along the way. Then, in 2004, my whole world changed. We were involved in a major automobile accident that caused serious nerve damage on the right side of my body. As luck would happen, I am right handed, so this seriously impacted my fine motor skills with my right side and ability to paper craft. My Occupational Therapist even had me work on some paper crafting skills during therapy. I did find that I was able to use digital scrapbooking to chronicle my family memories. But, I was sure my paper crafting days were over. Fast forward twelve years . .. 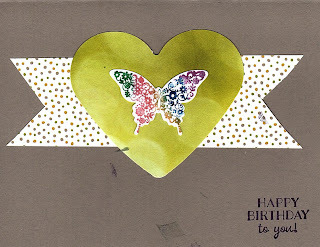 Earlier this year, my mom invited me to attend a card class with Stampin' Up independent demonstrator, Daveda Leppke. I happily agreed to go, taking my paper crafting tools with me, because I knew my mom could help when my right hand just wouldn't work. Imagine my surprise when I could to it for myself! :) I came home and purchased a few things to begin doing some minimal paper crafting myself. My first big project was invitations for a reunion of sorts. I wanted these invitations to be as special as the teacher we were celebrating, so just any invitation you can buy off a store shelf just wouldn't do. So, I spent time deciding exactly what kind of invitation would do this event justice. Then, I spent time creating the invitations and finding my new obsession. I learned that stamping and creating had some surprising benefits for me. I have been living with a smaller energy tank for the past 12 years. My tank would reach empty after just a few hours and my creativity or productivity would peter out to next to nothing until I could find time to sleep and recharge the tank. Imagine my surprise when I discovered that stamping has the same effect as a nap. Stamping/Creating energizes me instead of draining the tank. A second exciting discovery left me feeling the need to share my discovery with everyone I know. In case you haven't noticed, there are a lot of negative and downright frightening things happening in the world around us everyday. There are times I just feel overwhelmed and don't know how I can spread hope and love in my neighborhood and world, when it takes every ounce of energy to try to find enough for my own home. 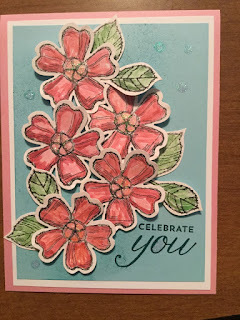 Suddenly, I discovered as I was creating cards for others, with positive messages of cheer, comfort, hope, and thanks, I was not focusing on myself, my difficulties, or the struggles of this world. I found I was focusing on others and what small message I could send to spread a little positivity in this negative world. This is why I've decided to become a Stampin' Up demonstrator. I've found focusing on creating cards and other paper crafts leads me to focus on others and spreading positivity in this negative world. Creating gives me the burst of energy needed to share love and hope with those within my circle of influence. Being an independent demonstrator gives me the ability to pass these tools on to others so they can share love and hope with those within their circle of influence. And, there you have it--the reasoning behind my newest adventure. Why do I stamp? Because I can and it energizes me and my creativity. It also gives me a positive, doable outlet to spread love and hope in this negative world and hopefully inspire others to do the same.